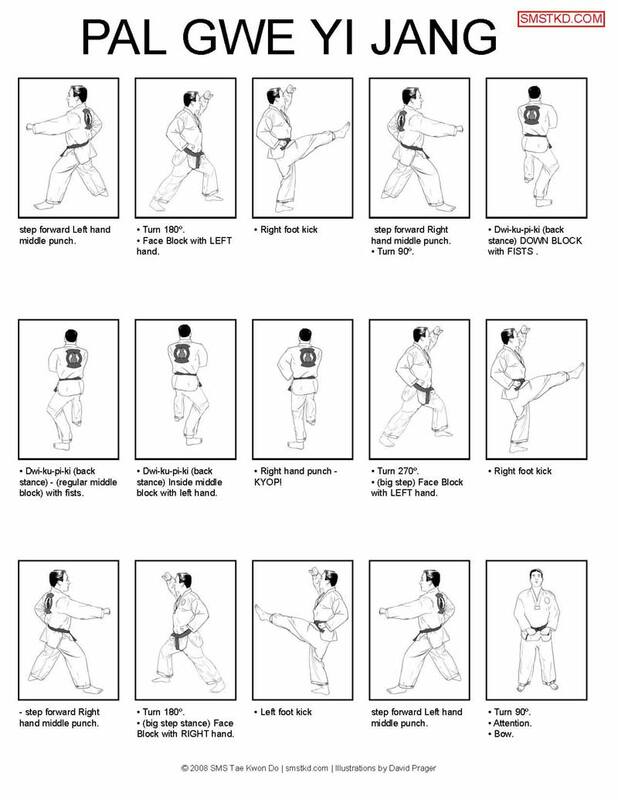 Video and illustration of each movement of Palgwe Yi Jang, the second Palgwe Form. Video version performed by one of our black belt instructors. 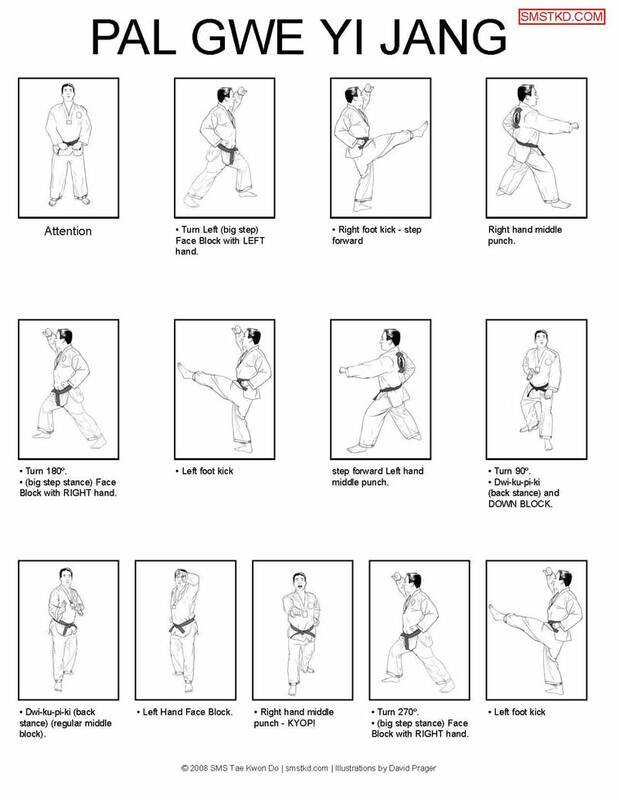 Step by step illustrated guide for Palgwe Yi Jang form, part of the required Palgwe Tae Kwon Do Poomsae.